Who are the “celebrities” of Christendom? We might think of important historical figures like Augustine, Francis of Assisi, Aquinas, Joan of Arc, and Luther, and run up to the present day with people like C.S. Lewis, John Henry Newman, Francis Schaeffer, J.I. Packer, John Piper, and Pope Francis (who of this group probably comes closest to true celebrity status). “Newton supposes that if he could search out the world to award a man, woman, or child with a trophy for being the most godly Christian on the planet, the award would not go to an eminent Christian, or even to a public Christian—not to a pastor, seminary professor, or author. The greatest Christian in the world, Newton supposes, is most likely a man of faith who just barely survives in this world thanks to a homeless shelter and the meager employment he finds on the lowest rungs of the social ladder. Or perhaps, Newton speculates, the greatest Christian is a bedridden old woman in a mud cottage who has learned through years of trials to adore Christ and trust him and his timing in everything. Low thoughts of self and high and admiring thoughts of Christ are the sure marks of the godliest Christian, even if such a Christian is likely unnoticed by the world and overlooked by most Christians. The best models of gospel simplicity are the poorest and the weakest Christians who have been emptied of all self-sufficiency, and who have learned to fully submit their lives to the lordship of Christ, his will, his wisdom, and his timing” (105). In showing us Lincoln at his lowest – in the darkest fits of gloom and depression – and at his best – telling humorous stories to guests, comforting others who are suffering, and achieving great political triumphs – Joshua Wolf Shenk offers a picture of an integrated life. Today is the birthday of our 16th, and arguably most important, president. 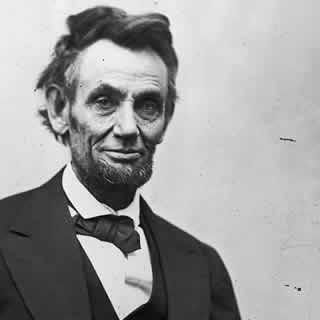 “Can we say that Lincoln was ‘mentally ill’? Without question, he meets the U.S. surgeon general’s definition of mental illness, since he experienced ‘alterations in thinking, mood, or behavior’ that were associated with ‘distress and/or impaired functioning.’ Yet Lincoln also meets the surgeon general’s criteria for mental health: ‘the successful performance of mental function, resulting in productive facilities, fulfilling relationships with other people, and the ability to adapt to change and cope with adversity.’ By this standard, few historical figures led such a healthy life” (25). Indeed. Few historical figures led such a healthy life.